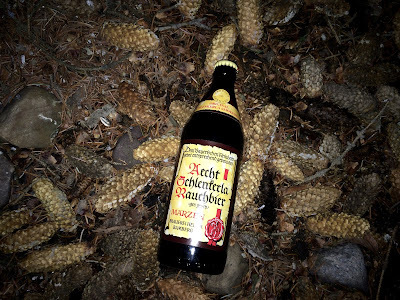 On a Thursday that actually is a Friday but should be a Thursday but I'm too lazy and want to ride my bike tomorrow we bring you Aecht Schlenkerla Rauchbier Märzen (I swear I never copied and pasted that) also is this the longest opening sentence I have ever done to start a review? Phew... I need a break from all that rapid typing. Now settle down grammar police. i did that on purpose. Go back on Facebook and get into a typing fight with someone who's politics you don't agree with. Cause you know, that will solve all the worlds problems right there. So with a day to catch a little overtime to recover from Christmas I chose the latter and ducked out in favour of sleeping in a little bit and possibly getting out on a ride. 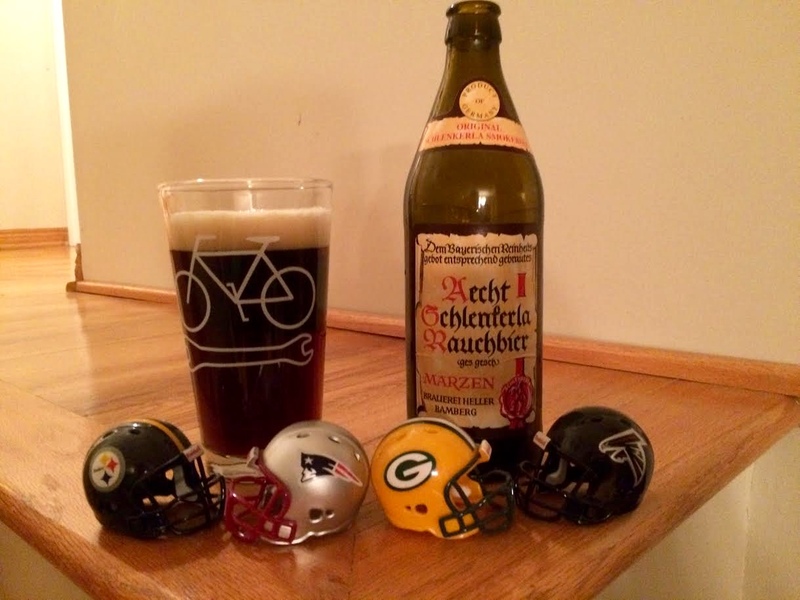 Also, German smoked beer! That phrase right there and me out the door and on the way home faster than a drugged up Lance. Schlenkerla which is a historic brewpub in Bamberg, Franconia, Germany is home to this amazing looking brew. Again I ask... What was the last poor beer we had on here? I seriously cannot remember. We were too excited about the pour and had to take some valium to calm down. Unfortunately a few interns including our head pourer and apprentice took too much and were out cold. That sadly left me in charge of the pour making me sweat in a room full of phoney narcissistic people. It poured a dark un-see-through glass that had a lasting two and a half fingered head that had me captivated in a way that only ribboned singletrack could rolling through a mountain valley. A burnt wood vapour emanated from the glass and I started crying tears of joy. When I brought this up to my mouth I couldn't help but think of a very good beef jerky. The first taste was that of a strong smoked roasted malt. Almonds, some caramel and toffee are hiding but hard to point out because of the strong taste of the smoke, but they are in there. I swear they are. This one isn't for everybody. If offered one more of these I would turn it down. Not saying it is bad just saying... If you want to try something different this should be first on your list, the bottle is worth keeping in the end as well so you win all around. Plus when your friends come over they will think you are real cool for drinking something different. I'll be keeping my empty bottle rolling around in the front of my vehicle so everyone can see!